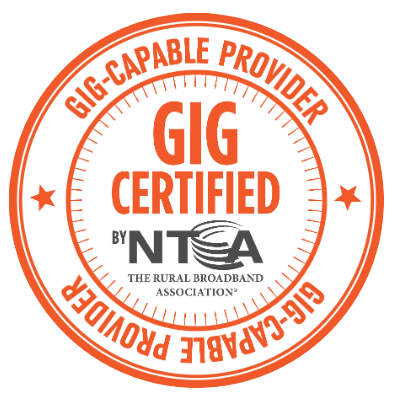 As a Certified Gig-Capable Provider, WTC joins a national campaign to build awareness and industry recognition of community-based telecom providers that have built communications networks capable of delivering Internet speeds of up to 1 gigabit per second. Thanks to all who left us a review this week for a chance to win a $50 Gift Card! Your feedback is greatly appreciated. It's not too late to WIN A $50 GIFT CARD! Give us a review on Google and/or Facebook for a chance to win. A winner will be selected this Friday! 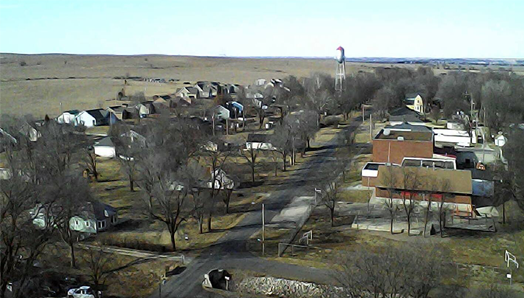 We are beyond excited to provide blazin' fast fiber internet to our friends at Manhattan Area Technical College! Want to help us improve? Give us a review on Google and/or Facebook for a chance to WIN A $50 GIFT CARD! Last week we celebrated a huge accomplishment! After 58 years of serving on the WTC Board of Directors, Junior Clark is retiring. We cannot thank Junior enough for his hard work and dedication to WTC!! WTC Gig-Powered Studios We're excited to announce our brand new business partnership with GoPowercat.com, the leader in coverage of K-State Sports! 2019-2020 Area Directory Cover Photo Contest Winners After much deliberation, we've selected our winner(s)! A huge thanks to all the creative people who participated in the 2019-2020 Area Directory Cover Photo Contest. Be on the lookout for your new area directory this July! Last chance! The 2019-2020 Area Directory Cover Photo Contest ends today at 5pm. Winners will be announced next Monday, April 8th. Enter your photo at wtcks.com/directory before 5pm! Beware of an internet scam that has been circulating recently and looks like the image below. This is NOT a legitimate offer from WTC - do NOT click on any of these types of internet fraud! The NCAA Men's Basketball tournament Round of 64 begins today at 11:15am on CBS. 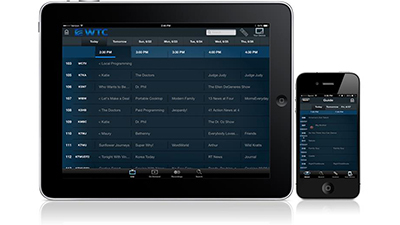 Watch every game live on WTC Video, or stream them live with the March Madness Live app! Introducing the NEW Faith & Family collection: Enjoy a selection of FREE family-friendly content through WTC Video On Demand, available now in the Family & Kids section. WTC Communications Photo submissions are coming in quickly! Don't miss your chance to win $100-$500 and have your photo featured on the cover of the 2019-2020 Area Directory. Have an eye for photography? Submit your original photo to be used on the cover of our 2019-2020 Area Directory! Photos from WTC Communications's post Congratulations to Ken Blew for his 28+ years of dedicated service at WTC! 's cover photo WTC Communications updated their cover photo. Due to the current weather situation WTC will be closing at 2:00pm. Please be safe!! Today, we remember the life and legacy of Dr. Martin Luther King Jr.
Timeline Photos Wishing everyone a safe and Happy New Year, as we ring in 2019! WTC will be closed tomorrow, January 1st. We will resume normal hours on Wednesday, January 2nd. Timeline Photos Wishing all of our friends and family a Merry Christmas!! Employee Years of Service Awards Congratulations to the following WTC Communications employees on their years of service and dedication. WTC Communications added 8 new photos. 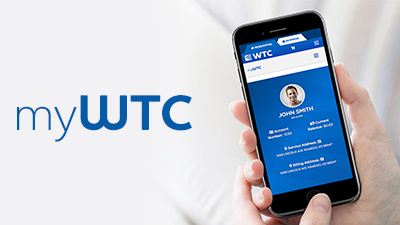 Now it's easier to sign up for WTC Communications's updates. Timeline Photos Introducing myWTC - a new way to manage your WTC account online! Here you will be able to view your services, request changes to your account and much more! Visit wtcks.com/account/register to get started today! Timeline Photos Have a Happy Thanksgiving from all of us at WTC!! Come home to the most talked about shows like Game of Thrones, unforgettable movies like The Greatest Showman, and so much more. Share the experience this holiday and enjoy a Free Thanksgiving Preview of HBO and Cinemax! This weekend's K-State Men's Basketball games in the U.S. Virgin Islands Paradise Jam will be broadcast exclusively on an independent streaming service. For more information on how to access games on Nov. 16-19, please visit FloHoops.com.